Huawei has confirmed it is set to launch a 5G-ready smartphone next year. Speaking at the Mobile World Congress Shanghai event, Huawei Rotating Chairman Eric Xu revealed the company is planning a range of 5G solutions in 2019 as it continues its push towards the next-generation networks. This includes launching a 5G-ready smartphone in June 2019, following the release of its 5G-ready Kirin mobile processor early next year. "These products will allow consumers that want higher speeds to enjoy an incredible 5G experience as soon as possible," Xu said. "Huawei is ready to work with our industry partners, to invest and to innovate, so that together we can succeed in delivering the 5G mission." Huawei has long been one of the leaders in pushing 5G technology ahead of the worldwide expected launch of the new superfast networks in 2020. The company revealed at Mobile World Congress 2018 that it had already developed a 5G-ready modem as part of its plans to launch a commercially-ready network by the end of 2018. 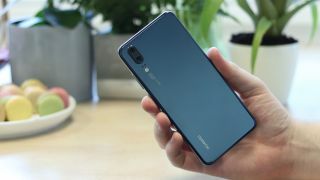 Huawei currently says it is working with more than thirty of the world’s biggest carriers to further its 5G research, including BT, EE and Vodafone in the UK, and has already spent $600m on developing the technology. Want to find out more on 5G? Here's everything you need to know!